If you work in a corporate environment, you and your computer may be the unsuspecting victim of a terrible piece of software from Symantec called Endpoint Protection. It’s a giant behemoth of a program that includes anti-spyware, anti-virus, network threat detection, and all kinds of other super security crap. I certainly do understand the need for these programs and I use them myself, but Endpoint Protection is a resource hog of enormous proportions. On top of that, it’s almost nearly impossible to turn off or kill. Actually, I’ve tried to kill all the processes related to it and it still continues to run. The worst part about the program is its need to eat up all the processor power on your computer. My computer never fell from 100% CPU usage when the program was running. I tried to uncheck the services and startup programs for it using MSCONFIG to no avail. Finally, I tried to uninstall it and I couldn’t even do that! The program was password protected so that no sane human being could uninstall the crap! I understand that the password is there to prevent employees from uninstalling it, but if you can’t do any work because your computer is unbearably slow, then it should at least allow the uninstall and notify the administrator. Also, you should try the default password of symantec or Symantec, with a capital S. It’s probably not that, unless your admin is very lazy, but worth a try. Anyway, if you are in a similar situation where you don’t know the password to uninstall Endpoint Protection, then you’ll be happy to know of a quick way to bypass the password and still uninstall the program. When the password prompt comes up, go into Task Manager by pressing CTRL + ALT + DEL and choosing Task Manager, then click on the Processes tab. Now find the msiexec.exe process and kill it! The picture above is actually from Process Explorer, not Task Manager, but it will have the same name there also. Once you kill the process, the password prompt disappears and the uninstall continues! Msiexec.exe is the Windows Installer utility that is invoked whenever you install or uninstall a program. 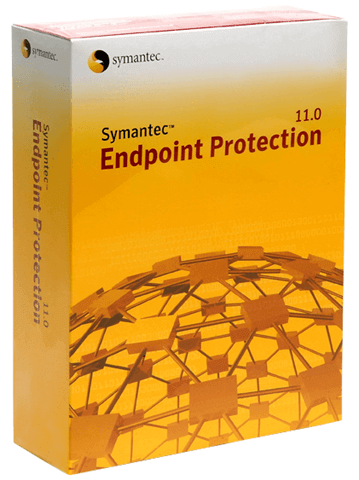 I’m not sure if this will work with newer versions of Endpoint, like 13 or 14, because I haven’t tried it. Let us know in the comments if it works for you or not. After removing the program, my computer CPU usage dropped to a normal 2%. Talk about a terrible program. If you want a really good anti-virus, go with Kaspersky. Enjoy!